Add a range of new channels with ASD UK Ltd. We offer satellite installations that give you a whole new selection of shows to watch. All work is fitted by experts based in Fleet, Hampshire. Ensure you get only the best with ASD UK Ltd. We fit high-gain aerials in places with low signal quality to make sure that your TV picture is crystal clear. What’s more, we only use solid steel support brackets so that your fitting stays in place for years to come. Gain access to more than 70 free channels with us. 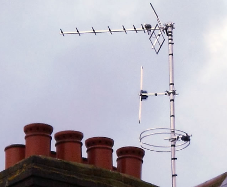 Contact ASD UK Ltd for tv aerial and satellite installations that expand your entertainment options and take your family’s fun to the next level.